It’s been a while – my bad! I’m going to try and bring some new life to our blog by doing a weekly segment that highlights a couple of watches that I’ve added to our database. Easy-peasy right? So without further ado, here’s my favorite watches of week 12 – the week of BaselWorld 2019 and Swatch Group’s Time To Move event. Ok, so this is not a BaselWorld release, but it was added this week nonetheless. The NOMOS Club Campus 36 708.S2 is a special edition (not limited) created by NOMOS, Timeless Luxury of Texas, USA, and the National Breast Cancer Foundation. It says Have Hope where we usually find Made in Germany. How good is that? The Breitling Navitimer Ref 806 1959 Re-Edition is a near-perfect copy of the -you’ve probably guessed it- 1959 Navitimer 806. The tech behind it is thoroughly modern though; it is powered by the brand-new caliber B09. Is it me, or are green dials a bit of a thing at the moment? The Zenith Pilot Type 20 Chronograph Adventure has one – paired with a bronze case and a wild camouflage-colored alligator strap. 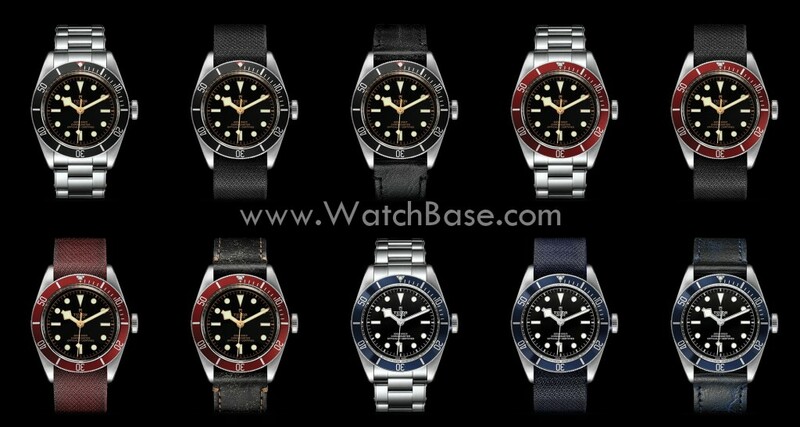 I expected a Black Bay GMT S&G, but Tudor gave us a Black Bay Chronograph S&G. And I like it! 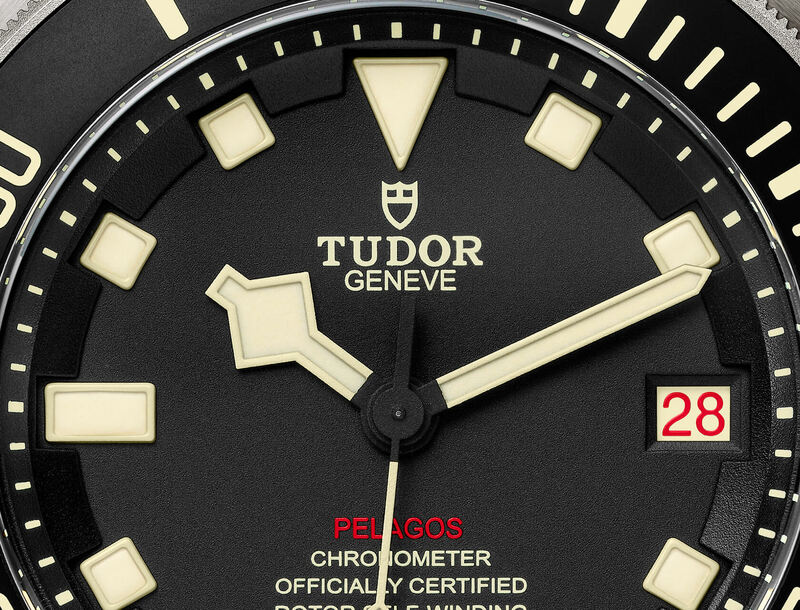 Tudor’s modus operandi is to do the gold bits in a brushed finish, which tones them down just enough. I’ve only just begun uploading the 2019 Rolex novelties. There’s still loads and loads to come. Of the handful that I’ve added to date the GMT-Master 126719BLRO-0002 is a firm favorite. A white gold case, ceramic Pepsi bezel, and a meteorite dial. It’s over-the-top and totally awesome. 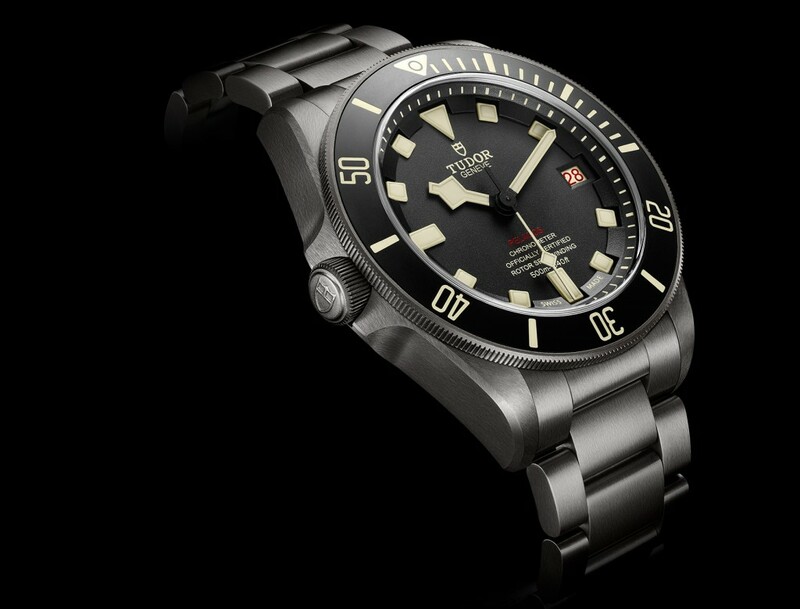 The Tudor Pelagos LHD is a left-handed variation of the regular Tudor Pelagos, the titanium brother of the popular Black Bay. Once decisively modern, the Pelagos LHD now takes after its Heritage-line siblings, with beige Luminova and a subtle splash of red text. Details on the Tudor Pelagos LHD can be found in our database. We will update with info on pricing as soon as possible. For 2016, the Tudor Black Bay is updated with Tudor’s in-house movement. The versions fitted with a stainless steel bracelet now have one in ‘rivet’, enhancing the vintage feel of one of Tudor’s best sellers. I just finished uploading the six distinct references to our database; there are 10 in the picture above, as all are delivered with an additional fabric strap. For the Red version, it seems that your choice is either burgundy or black. Links below!